In medium bowl, mix cream cheese spread and Gouda cheese until blended. Stir in chives, tomatoes and garlic powder. Shape mixture into 1 large or 2 small balls or logs. Roll in chives. Wrap in plastic wrap. Refrigerate at least 2 hours or until firm. Serve with crackers. 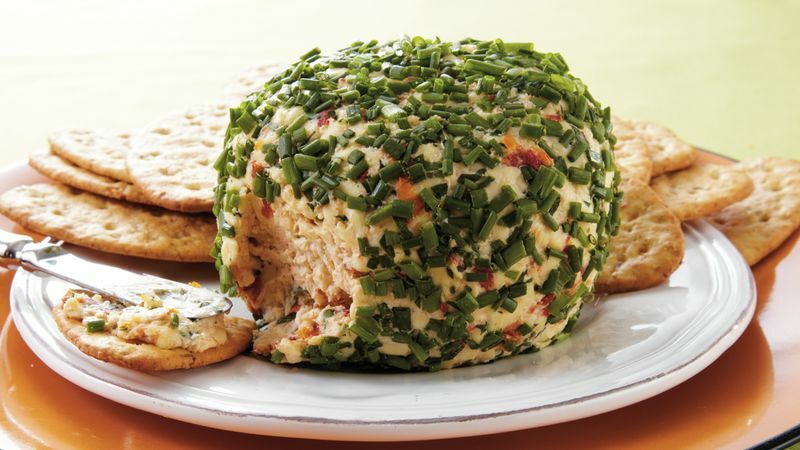 Gouda cheese and sun-dried tomatoes update the traditional cheese ball. It can be made ahead and stored in the refrigerator up to 2 weeks.